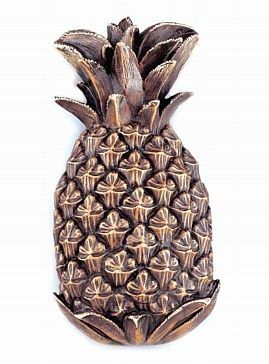 A sign of hospitality and welcome that arose from the colonial America times, the pineapple symbol has wound its way on the face of many decorative home accents. This pineapple door knocker highlights sharp detail and bears a nice finish as shown. Made of solid brass. Comes with its own mounting hardware.